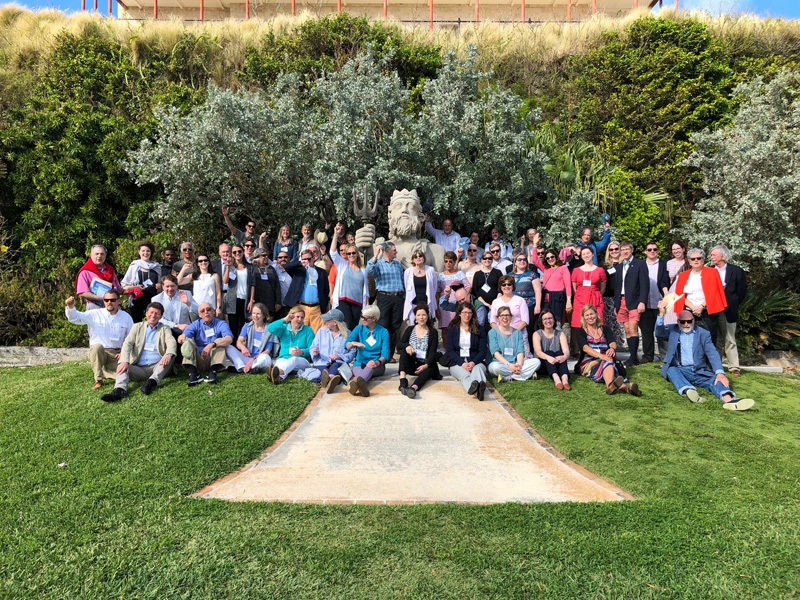 Last week the National Museum of Bermuda welcomed over 65 delegates from North America to the 2018 Annual Conference of the Council of American Maritime Museums [CAMM]. Founded in 1974, CAMM aims to bring together institutions working toward the preservation and interpretation of North America’s maritime heritage, promoting research, exhibition, publication and collaboration among maritime heritage professionals. While the Museum was the official host, the conference was held at the Bermuda College where representatives from small and large maritime institutions, such as the Smithsonian National Museum of American History, Mystic Seaport, Los Angeles Maritime Museum and Vancouver Maritime Museum came together to discuss issues and challenges currently facing maritime museums. Dealing with natural and man-made disasters, learning from failure, experiential learning, marine archaeology, building audiences, connecting with communities and staying relevant were some of the topics explored. There was a strong local representation with the National Museum of Bermuda presenting on disaster management planning for hurricanes and dealing with disaster aftermath; the Bermuda National Gallery on using local artists to reinterpret your collection and better connect to your local community; and Endeavour and Bermuda Sloop Foundation on their successful experiential learning and STEAM programming. The conference provided local institutions an opportunity to establish new relationships with international institutions and exchange their experiences and knowledge. The National Museum of Bermuda has been a member of CAMM for nearly three decades. The NMB also extended thanks to the Bermuda College for providing the venue for the conference. Well done Bda National Museum!! Hope this grows into more larger conferences!